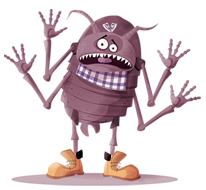 It’s the school lice alarm again! You know the drill: check your child’s hair. No lice today? What a relief. You hope you’ll be as lucky tomorrow. Don’t count on luck. 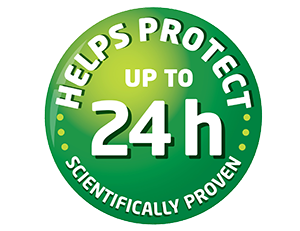 Count on Lyclear Head Lice Repellent Spray to actively help protect your child and family against lice. Use Lyclear Head Lice Repellent daily during head lice outbreaks to help keep the hair head lice free or start to use it immediately after having completed a head lice treatment, to help avoid re-infestation. A non-greasy leave-in spray with a pleasant fragrance. Ask your children not to share clothing such as scarves or caps with friends. Tie up or braid long hair. Wear a swimming cap in the swimming pool. Disinfect the area: wash the bedding at 60°C. Vacuum the house and car, and then throw the bag away. * When used according to instructions. Please use sufficient product and comb thoroughly to remove all eggs. Data on file. Lyclear Spray, Shampoo and Sensitive are medical devices. 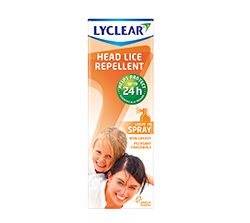 Lyclear Head Lice Repellent is an insect repellent. Use insect repellents safely. Always read the label and product information before use.